One coach's plea to shed your social conditioning in the gym. Gym geography too often shields cardio machines from the strength floor; the comfortable, self-explanatory equipment from the free weights. More importantly, gym geography too often perpetuates body-praising for some (e.g., bulky, cut dudes with our protein powder and grunting) and body-shaming for… well, everyone else. Mirrors, selfie culture, the sheer force of walking around with our headphones blaring and our weights slamming…. It all shapes what kinds of lifting we do in the gym, and how we feel while we’re doing it. We live in a society where women and people who were raised as girls are conditioned to be small, quiet, and accommodating. Have you ever noticed the way most women say ‘I’m sorry for interrupting’ when we mean ‘thank you for your time’? Or seen the way women typically sit on public transportation as opposed to how men typically sit? We are all trained to behave in certain ways, to take up certain amounts of space, whether we are aware of that training or not. This training follows us into the gym, and indeed shapes how we… well… how we train in the gym. My clients who are women are distinctly not expected to take up space; when they do, they too often end up as eye candy for men in the gym. 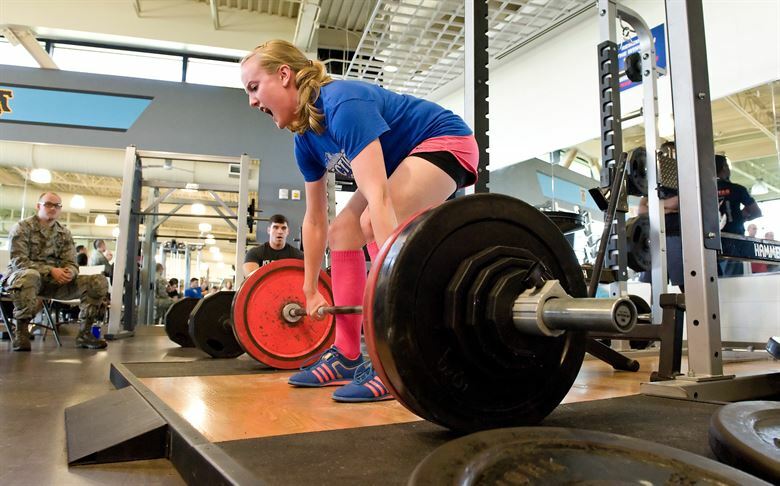 When they lift heavy, it’s impressive “for a girl.” Even when it’s not spoken, the “for a girl” is always implied. I’m moving away from the gym I coach at later this month, and I want my women clients to feel as comfortable as possible when I’m no longer their 3x/week in-person professional workout buddy. It’s okay: you can do this. You can take up space. As a transmasculine, nonbinary personal trainer, I often feel somewhat odd about the position I find myself in; I used to be “the girl” lifting heavy, with the long flowing hair and a low-cut tank top and traces of last night’s eyeliner on my lids. Now, I’m a person most people read as a boyish, masculine lesbian. I’m still lifting, but now as a white, transmasculine personal trainer, my body is permitted and almost expected to take up more space than the bodies of my women clients. I love to teach my women clients the strategic strength art of powerlifting. 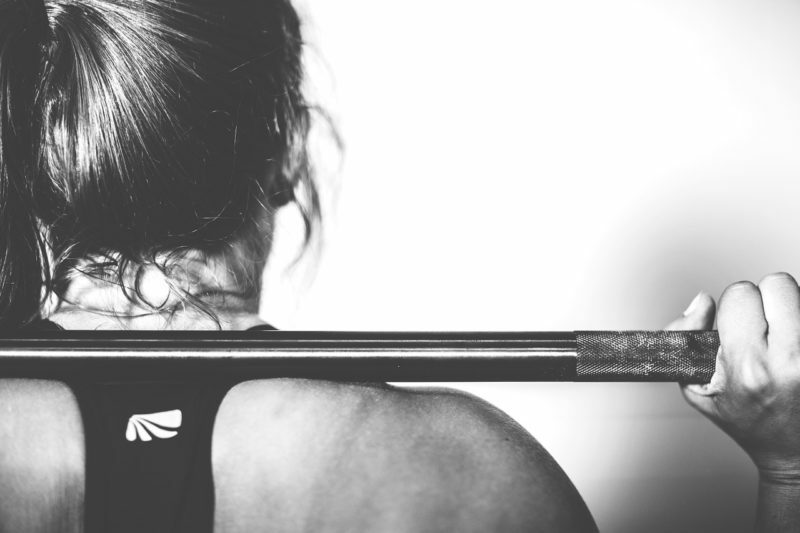 Because lifting heavy doesn’t just make clients stronger; it’s empowering. Too many personal trainers take women’s requests to “tone up” as a code for light lifting, too often viewed as feminized. There is nothing wrong with low load, high reps. Those sets are badass, those programs, tough. But I always encourage my clients to forge a different path that will see them take up space — physical, mental, and emotional — in the gym. The adrenaline of lifting heavy. The satisfaction of knowing that they couldn’t lift last week, last month, last year, what they tossed over their heads and pulled off the ground today. People raised as girls are told, in words and in actions, that we shouldn’t bother taking up space on the pull up bars, for example, because we are told that our upper bodies are just too weak, too inferior. We just don’t have the upper body strength others do; that we’re biologically weaker, physically inferior. Powerlifting (with the addition of overhead pressing, because yes) is a way to change that narrative with my clients. When I tell my clients that I’m a competitive powerlifter, they inevitably ask me all kinds of questions, because really, who willingly volunteers to try for their max lifting efforts on a stage in front of so many skilled eyes? When I tell my clients (of all genders) that they, too, would be good at powerlifting, they inevitably say with excitement in their eyes?, “Really? Me? Seriously?” And they stand a little straighter and taller. To me, teaching people who have always been taught to associate femininity with weakness that they are powerful is, really, the point of personal training. What better goal, what healthier goal, can we have with our clients than assisting them on their journey towards increased self-love, self-efficacy, and the belief that they deserve to take up space in the world? If you’re a new lifter, get your form down solid and guess what? You can powerlift. If you’re a trainer, stop assuming women don’t want to powerlift when they know that all it means is getting stronger, more stable, giving themselves permission to take up space in the bro dungeon. If you’re a trainer, encourage women to powerlift, kettlebell swing, weightlift, battle rope. Anything that will show them what it means to take up space in a positive way; because people of all genders deserve to know what that feels like. Because maybe, then, the bro dungeon can be transformed into a place with room for all people of any and all genders. Featured image by Jay Polish. Dr. Jay Polish is an American Council on Exercise certified personal trainer, and holds an additional certification in Kettlebell Athletics. 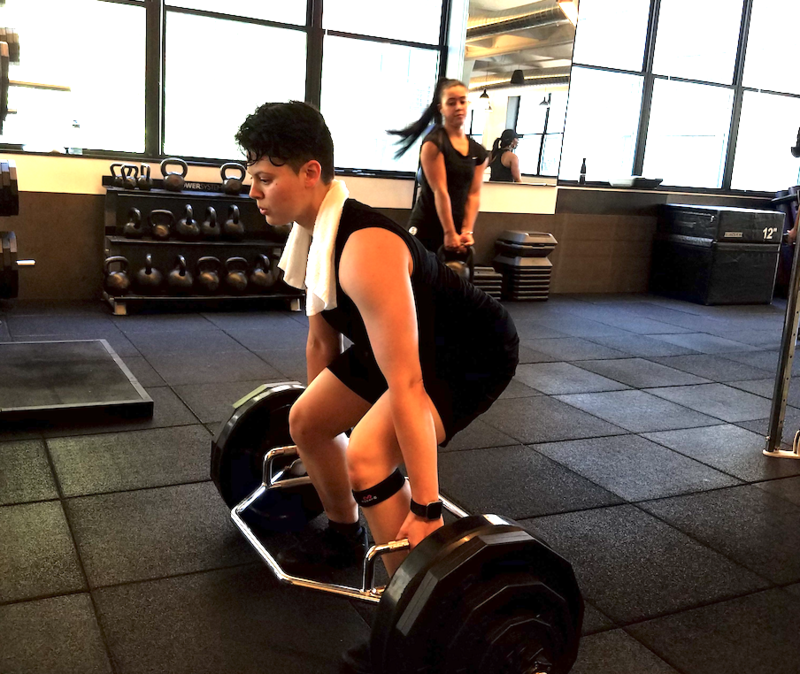 A competitive powerlifter, their personal training practice focuses on empowering both new and experienced lifters with body positive training methods of strength and circuit training. When they're not in the gym, they moonlight as the author of two young adult books, LUNAV and LOST BOY, FOUND BOY (March 2018, NineStar Press). Their debut novel, LUNAV, a lesbian enemies-to-lovers faerie tale, features dragons that grow on trees and friendship amongst rebellion. Their debut novella, LOST BOY, FOUND BOY, is a scifi re-telling of Peter Pan in which Neverland is a holomatrix, Hook is a bisexual cyborg, and Tink is an asexual lesbian computer interface. They teach Theater and English in the CUNY system, where they received their PhD in English. They live in New York with their wife and their fantasies of having multiple puppies. Their website is here. You can train with them through Trainerize.